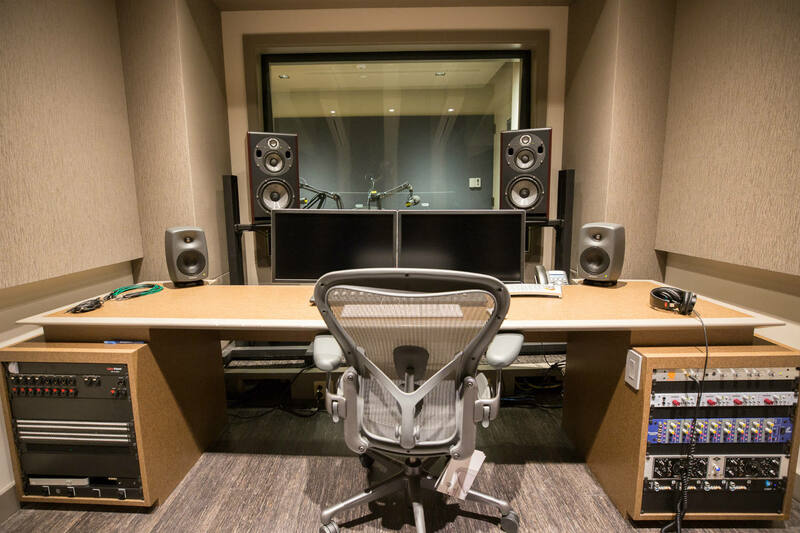 With a 21-year track record as the world’s largest producer/distributor of downloadable audiobooks and other spoken-word entertainment, Audible has enlarged and totally reconfigured its in-house studio facility. 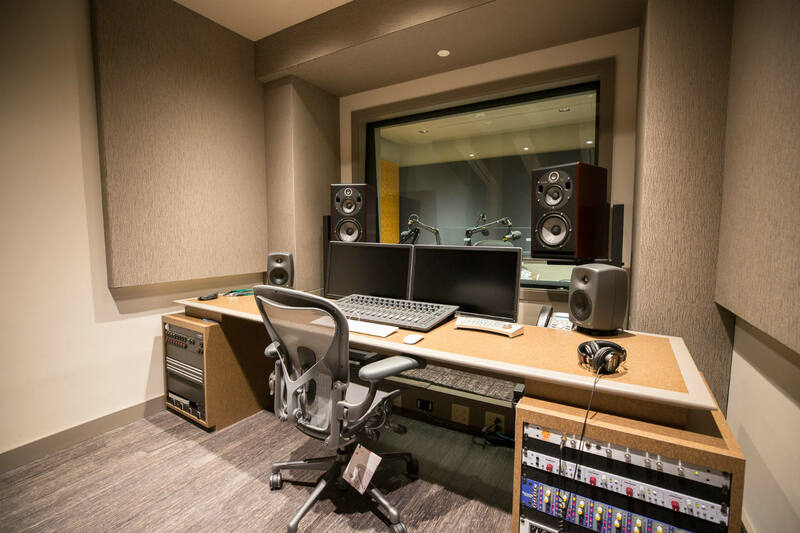 Their expanded commitment to original audio content including multicast productions with sound design, conversational audio series, comedy, motivational speeches, and investigative reporting required them to consider what features and components would provide them with the optimal expanded production capabilities. 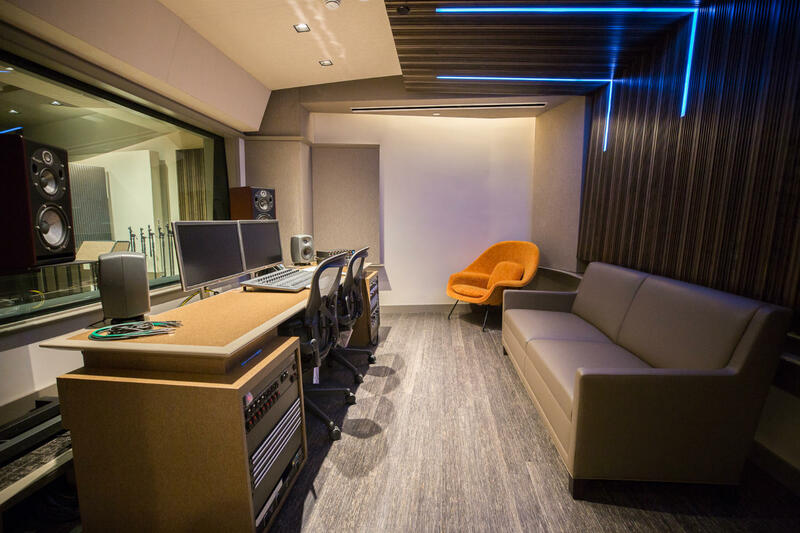 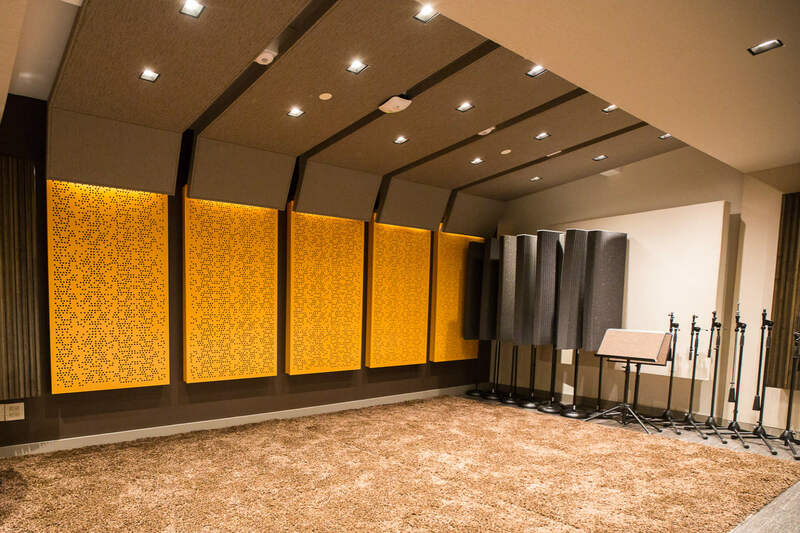 In addition to an increasing production slate, Audible also casts high profile celebrity readers and performers, and it was important that their new studios’ technical and acoustic assets reflect an equally high level of aesthetic integrity. 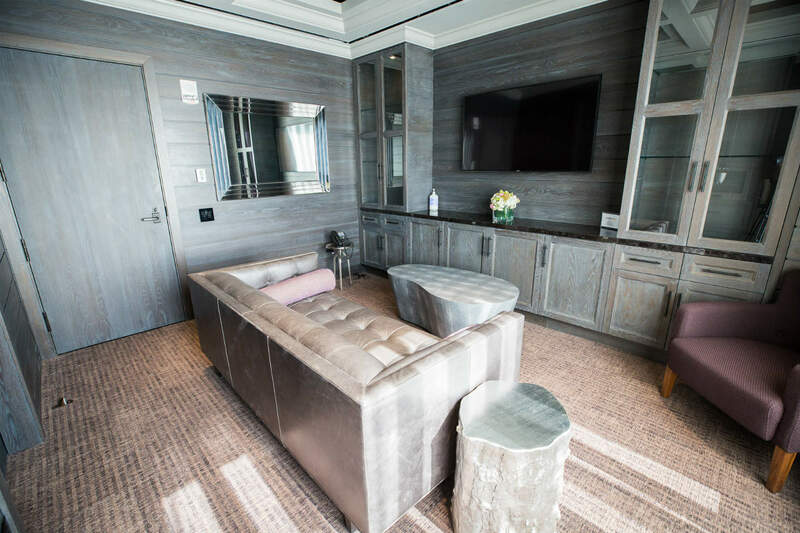 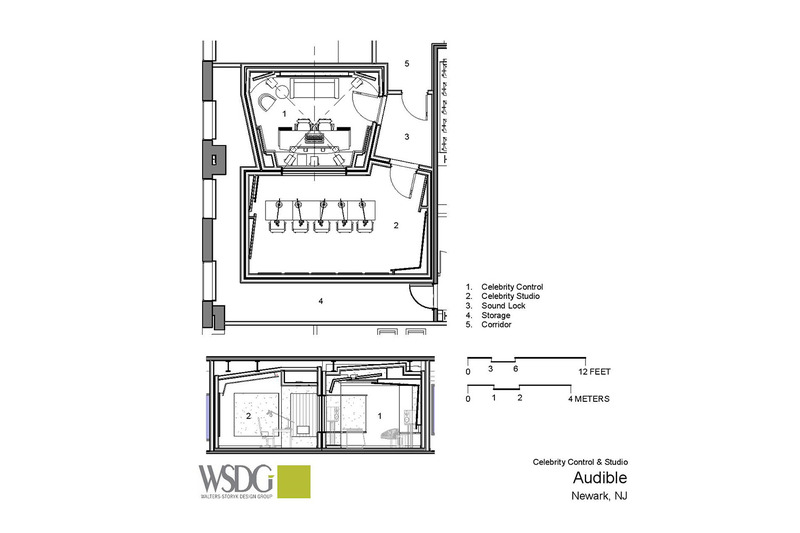 To assure a state-of-the-art complex capable of serving a multiplicity of purposes, and to provide the highest profile readers/performing artists with an exemplary creative environment, WSDG Walters-Storyk Design Group was commissioned to design the complex. 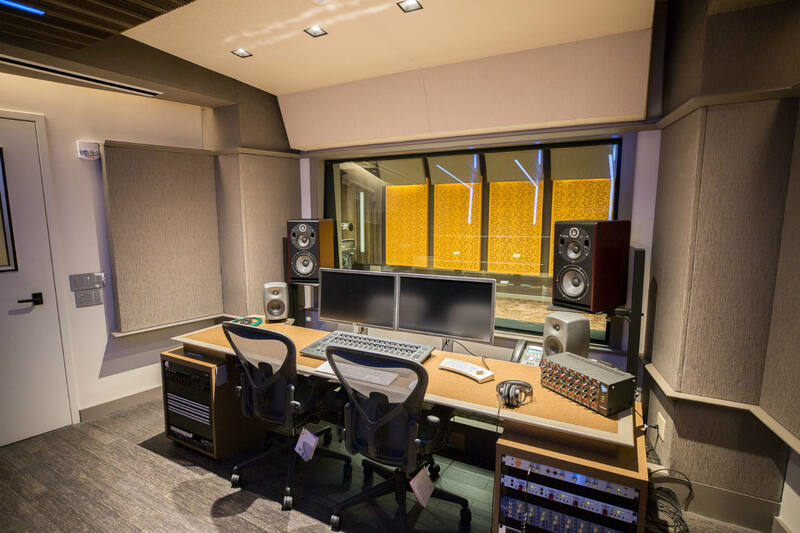 “We first worked with Audible in 2007 when we were retained to design their original studios for reader recording sessions,” reports WSDG partner/project manager, Romina Larregina. 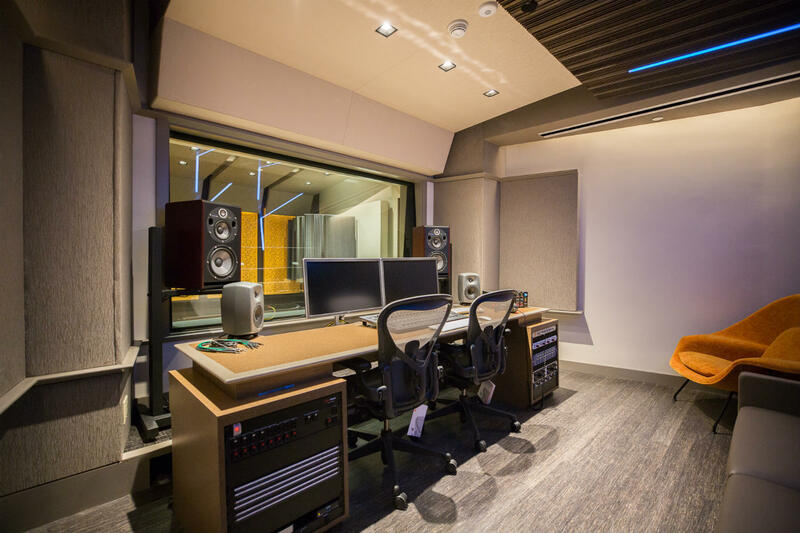 “We were very pleased to have been awarded this new project in late 2015 when their growing workload required a substantial facility expansion. 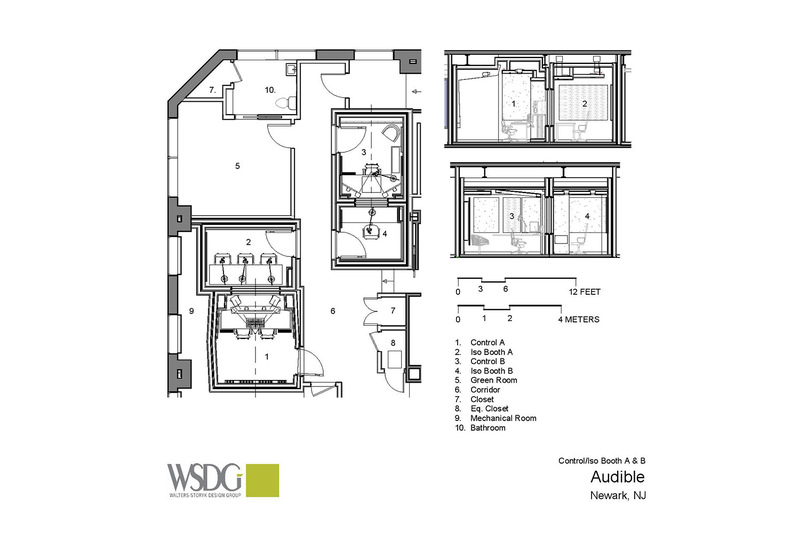 The Audible team captured a 2,400 sq. 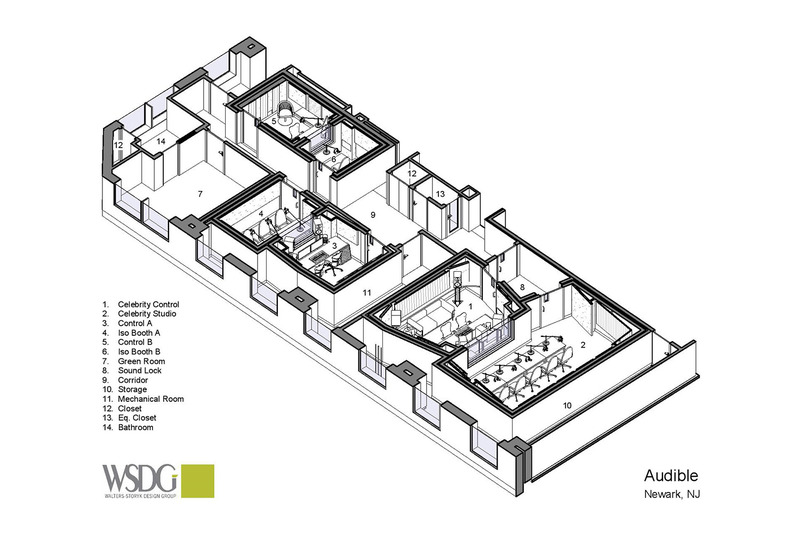 ft corner section of the 13th floor of their One Washington Park Headquarters Building in Newark. 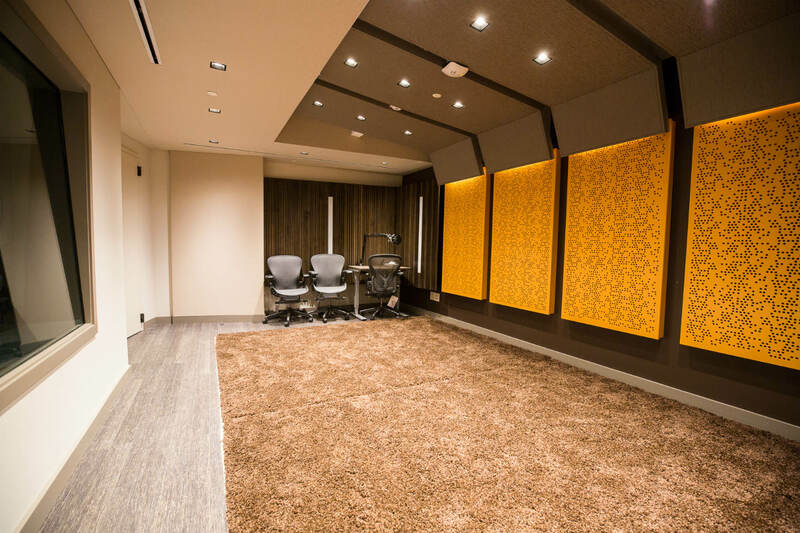 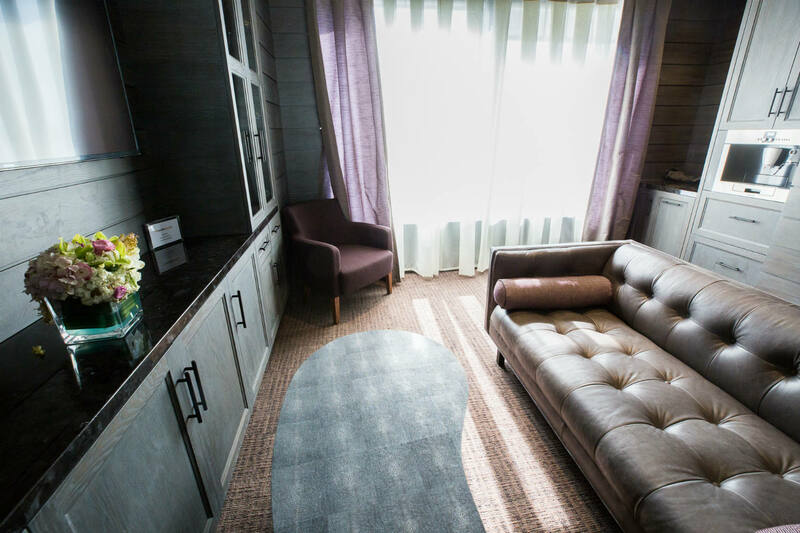 WSDG was tasked with designing a Multicast Studio and Control Room, two dedicated Iso Booth/CRs, a comfortable ‘Green Room’, a Mechanical Room and related support space. 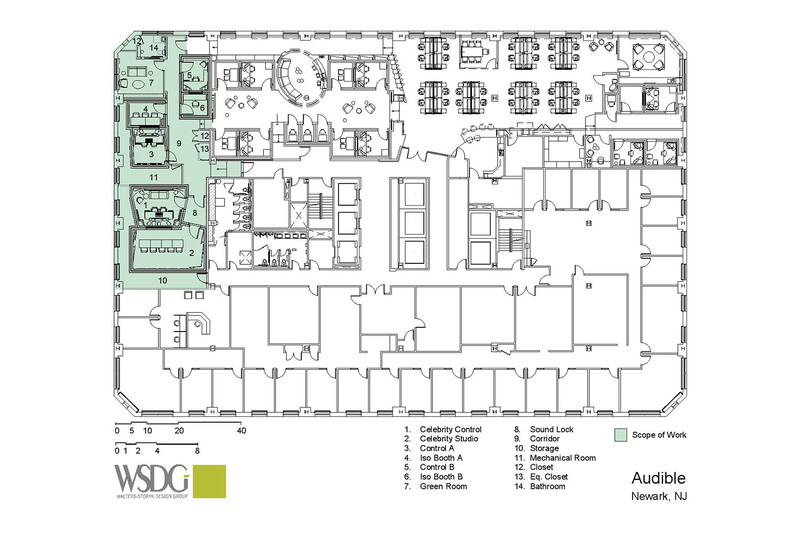 Collaborating with the Spector Group architectural firm, we designed a program to optimize the space.” Larregina said. 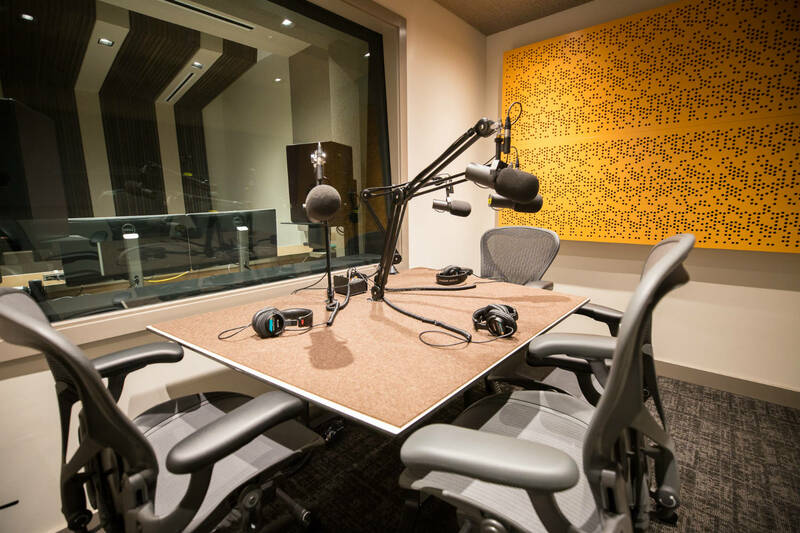 What Makes A Great Podcast Studio? 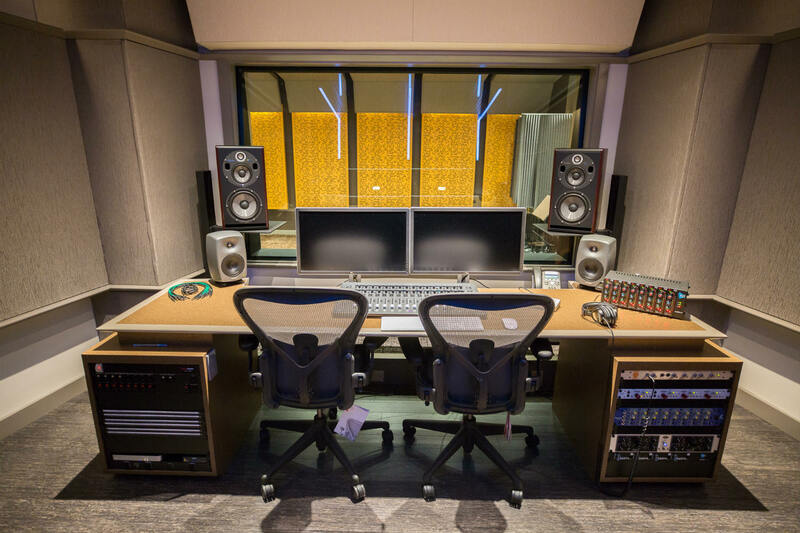 Gimlet at Billboard!